Gibsons Bar & Steakhouse is a Rush Street legend that has just added a location in Oak Brook. 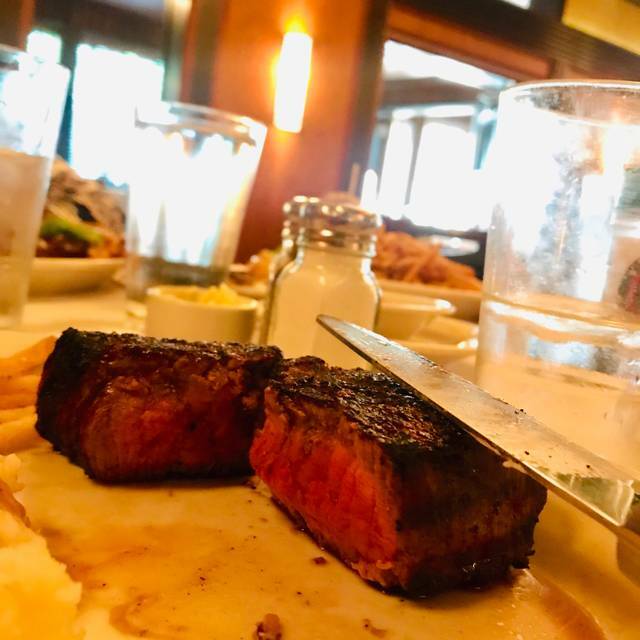 Big steaks, big drinks and big shots, that's what it's all about at Gibsons! 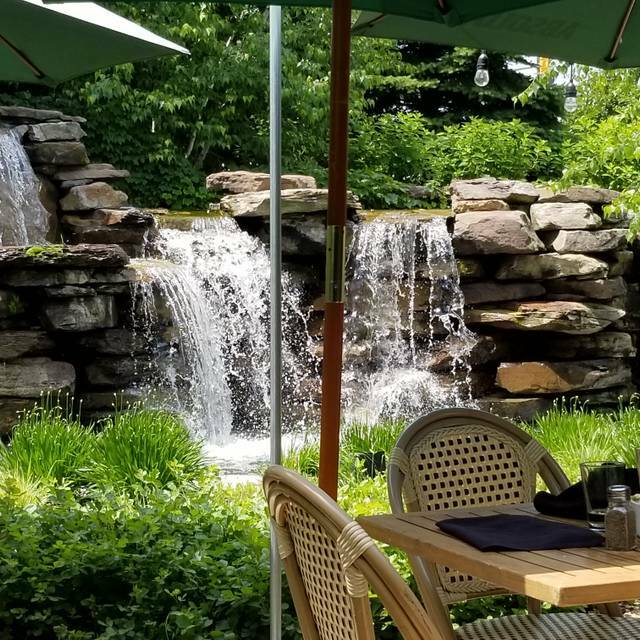 Gibsons Bar & Steakhouse Oak Brook boasts a large outdoor patio which has the capacity to seat 200 and includes a lounge area with three toasty fire pits, an Alpine Waterfall feature off the outdoor dining area and a full outdoor bar. 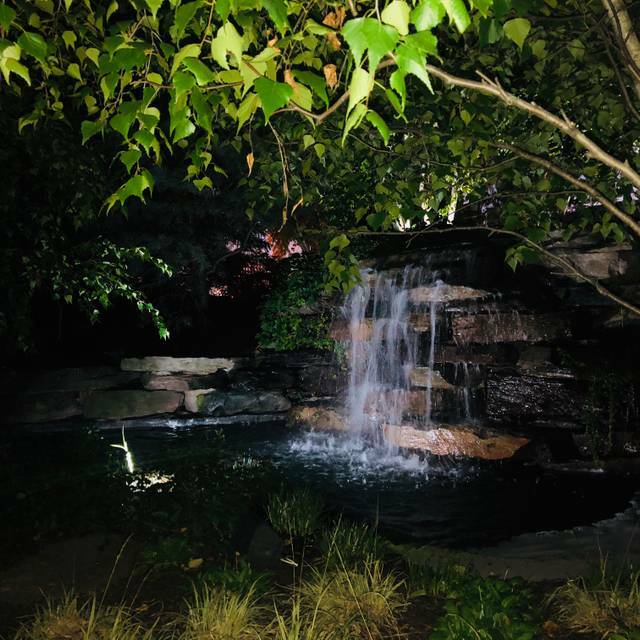 Come in and enjoy dining on our patio or just sit around the fire pit with friends to sip some cocktails. Outdoor seating will be accommodated on a first come first serve basis. Thank you for choosing Gibsons Oakbrook for Mother's Day. Please note, your reservation is only for the Main dining room, featuring our a la carte Dinner menu. Reservations for the buffet may be booked only by dialing the restaurant directly. Thank you for choosing Gibsons Oakbrook for Father's Day. Please note, your reservation is only for the Main dining room, featuring our a la carte Dinner menu. Reservations for the buffet may be booked only by dialing the restaurant directly. Staff is amazing. Blonde hostess was so kind and welcoming, Roberto our waiter was top notch and very friendly. The entire wait staff was courteous and paid close attention to our table. We came for my aunts birthday and she said it was one of her best. We go there from time to time, every meal has been done to perfection. Service is always good - multiple staff comes around to check on you - but not in a bothersome way. This was our first visit to Gibson’s. We were very surprised by the quality of the meal. We plan to return. Amazing food, service, beverages, and ambiance! The WR cut was unbelievable! 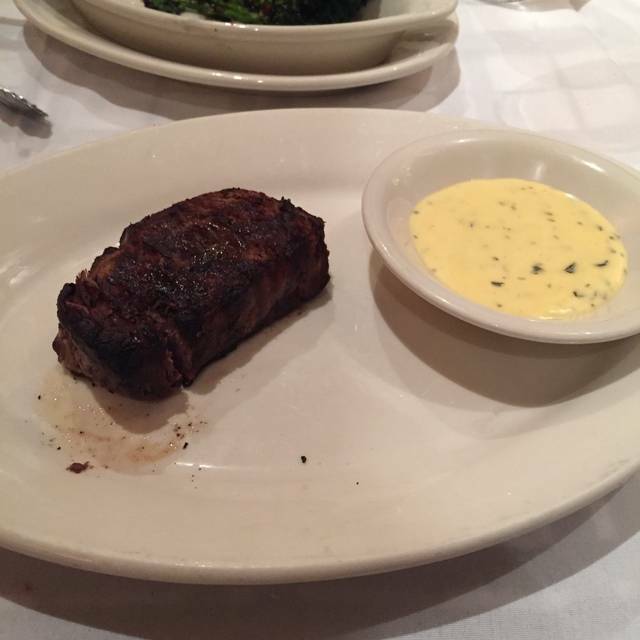 The filet was cooked to perfection. make our evening very special!! The food & drinks were amazing. We definitely will be back! Steaks and fish were great. 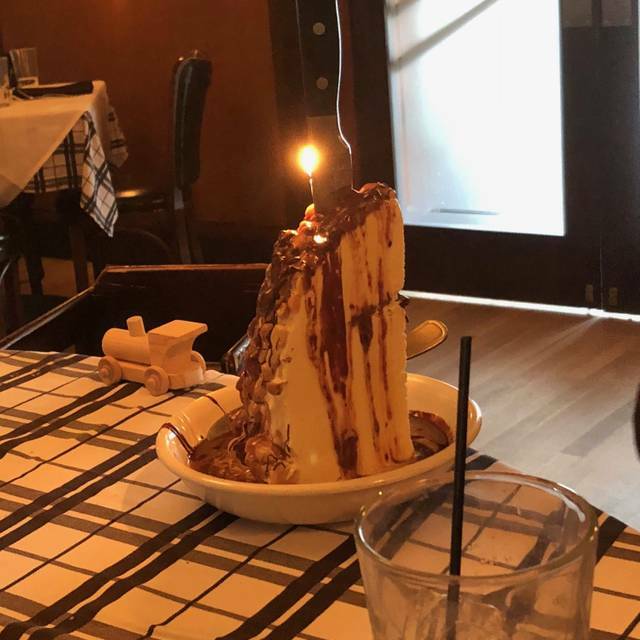 Wish I had room for dessert. Great service.. thanks Ashley. Our steaks were cooked perfectly. Great dessert choice... creme brûlée. Nothing more to say about Gibson's other than it is great! Excellent service, quiet atmosphere, outstanding food. We were very pleased with the recommendations of our server. The prime rib steaks were tough and tasteless. Then the birthday was ignored. When one of us told the front the server brought ice cream instead of cake saying that they were out of them. That was not true because we saw them several times. Our waiter was awesome! Had a wonderful first time experience! Great food! Expensive but worth the price. Came for our fifth anniversary and they treated us very well! OUTSTANDING!!! THE BEST STEAK I'VE EVER HAD!!!!!!! Unfortunately my wife's steak was not cooked as requested and had to be sent back twice. By the time it was cooked properly, it was too dried out and I was finished with my meal. This was not at all typical for Gibsons and the staff and management could not have done more to make it right. They're customer service is bar none, the best I've ever experienced. I will not hesitate to return or recommend Gibsons to anyone. These things can happen to anyone. Great wait staff and Managment. Food very good and consistent. Excellent on all levels!!! Wish Hugo’s in Naperville could be this good! Fabulous steaks and service! We had a lovely dinner. The service was very good but could have been a bit better. Usually the table gets cleaned during meal, but perhaps they were just very busy that evening, would have liked to have the table cleared of used plates, etc. during the meal. Our server was very attentive so that part of the service was good. We went to Gibson's bar in steakhouse because someone had given us a gift certificate. We were pleasantly surprised at the quality of the food and the service that we received. We would definitely go back. 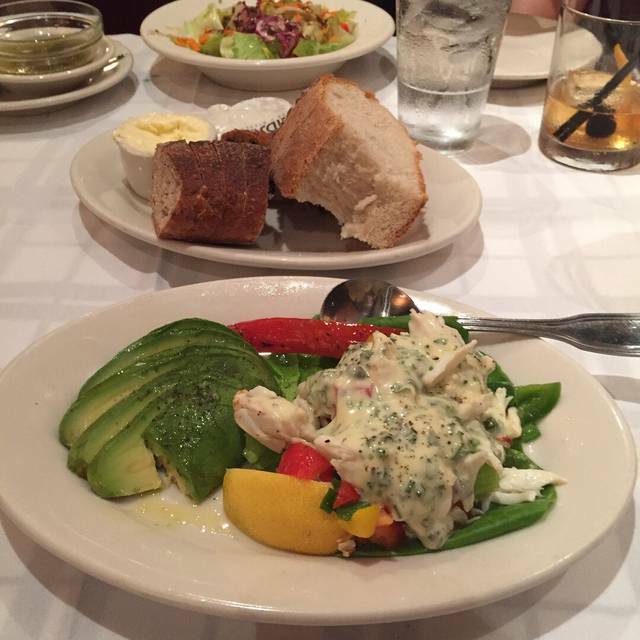 We made our reservation at Gibson’s and we normally enjoy our food and experiences there in the past. However, we were seated at a horrible table in front of the kitchen. All food coming out, service personnel going to and from including bussing service support. I was literally bumped into 10 times by the wait staff. 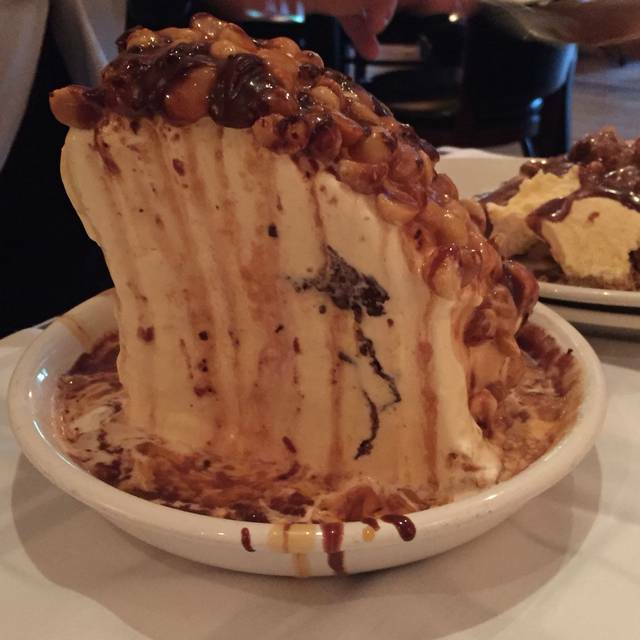 It was so loud and uncomfortable at that table that we did not stay for dessert. Our server was excellent at his job it was all the ancillary people running into me and our table. Super congested. My suggestion give up that table so your patrons can have a nice dining experience. Exceptional in every way. Shout out to the valet service. The hostess remembered our preferred table and we were more than happy to wait a few minutes while they turned it around for us. 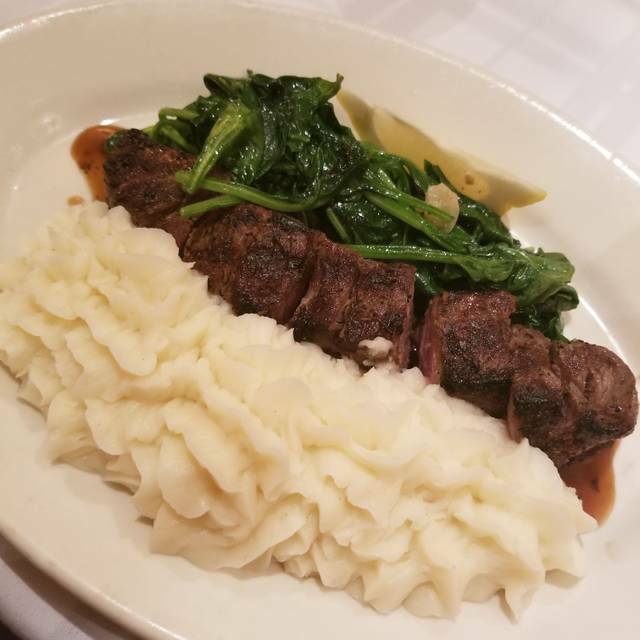 This is a place the preserves wonderful tradition without trying to be anything but what it is, an elegant traditional steakhouse restaurant that is elegant and welcoming to all. The bar area was jumping and vibbing with tall drinks being poured by smart looking bartenders, an eclectic and wonderfully diverse crowd and a steady hum of conversation and glasses being toasted. Our server was absolutely delightful and made great suggestions. Support staff that help keep my water glass filled, table bussed, and crumbs efficiently removed from the table were ever present but never stalking. Everyone seems to float around in a beautifully choreographed dinner ballet in which everyone knows their part and is proud to own it. There is a sense of pride and authenticity which creates a wonderful culinary experience that only contributes to heightening the flavors, texture, and presentation of the food which is beyond reproach. Shout out to the bathroom attendant. I also want to recognize back of house. Thank you for creating a place that provides for some magic, elegance, and exceptional food! Everything was absolutely wonderful. The food was delicious and our waiter was extremely pleasant. I would definitely come back. I felt very comfortable there. The atmosphere was just perfect. Once the weather gets warmer I would like to try the outdoor patio! Our server, Georgio, was spectacular. He made it a lovely evening and experience. 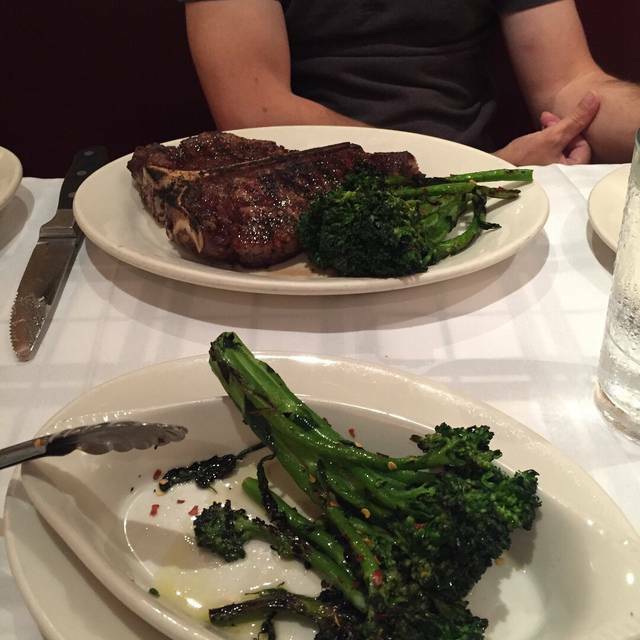 The steaks were ok. The noise level was on the high side, not suitable for conversation. Dined, apps in the bar. Gracious Service. Lots and lots of middle age to older men. Only saw one other woman. We had our one year wedding anniversary last night at Gibson’s. We really weren’t to sure about how many people would actually show up. The staff and manager we very accommodating they made sure our guest were comfortable. The staff was amazing and the food was to die for! Thank you Gibson’s in Oakbrook for making our night memorable you guys and girls Rock! To top it off they gave the entire party of 19 cake!!! Simply Outstanding! Always enjoy having lunch there when I'm in the suburbs. Food is always fresh and delish. Disappointed that the bisque isn't available daily. Overall a pleasant experience. We look so forward to going to Gibson's because it's only once or twice a year, and this time it was OK. Nothing to brag about, except for our server Jackie. Got shrimp cocktail, that we thought was over cooked, but we ate it anyway, our steaks (Filet & Ribeye) were both rare, we ordered them medium, so they took them back and cooked them properly, the brussel sprouts had hardly no bacon in them and no maple syrup, the mashed potatoes were fantastic. My husband ordered the devils food cake for dessert and it was terrible!!! It tasted like it was 3 days old, they didn't charge us for it and gave it to us to take home, and it went directly into the garbage. After dinner and before dessert my husband and I went out for a smoke, which we told our waitress we were doing, and when we came back our table was clear, drinks and all!!! I just ordered a Martini, Jackie, our server, promptly went and got me another. Overall it was just ok, we stopped going to Wildfire because we discovered Gibson's, might be awhile before we head back. Was not worth $260.00. The food and service are top notch. The sear of the steaks is what dreams are made of. Waitress was bothered. Was barely decent. Struggled with the pressure of the volume. Hair in bread.